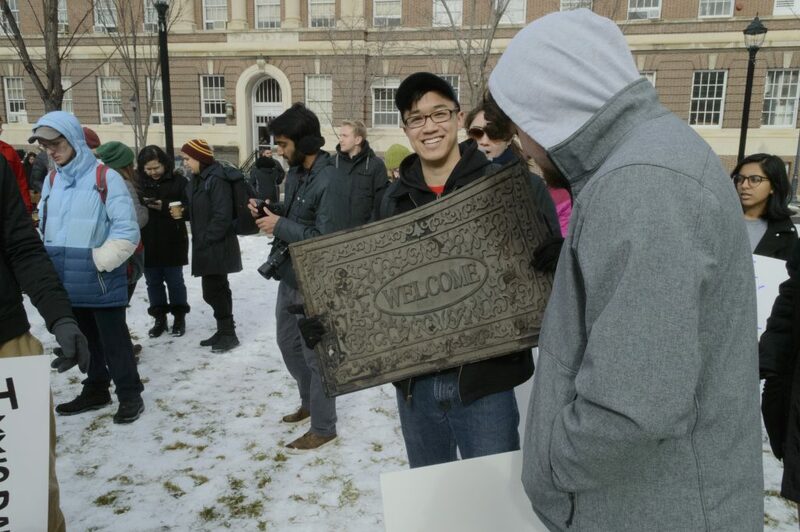 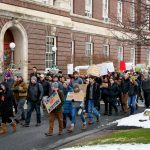 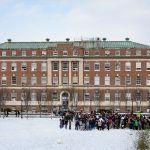 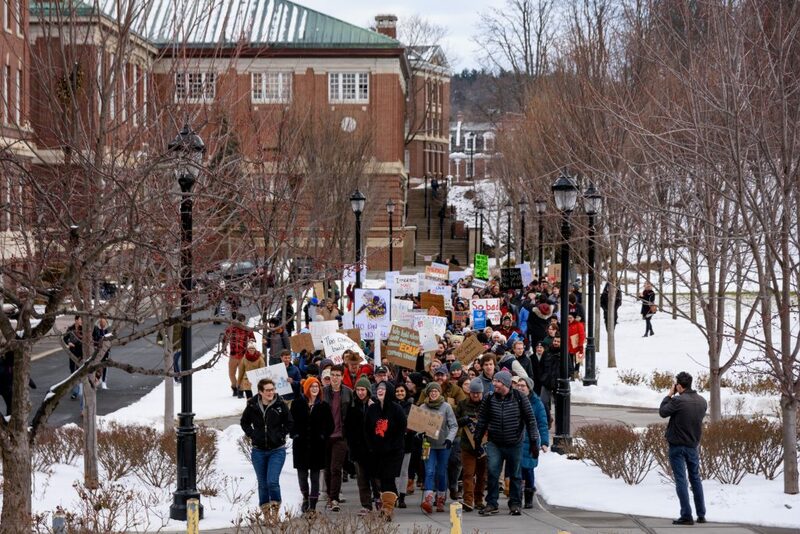 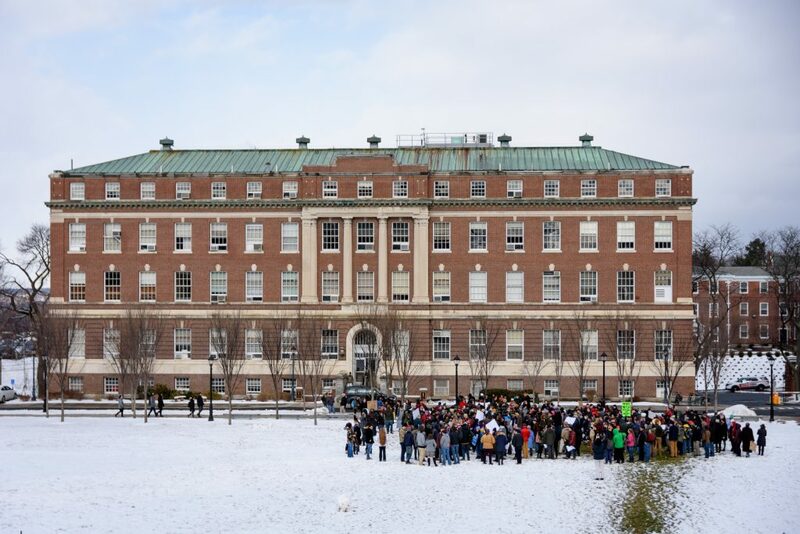 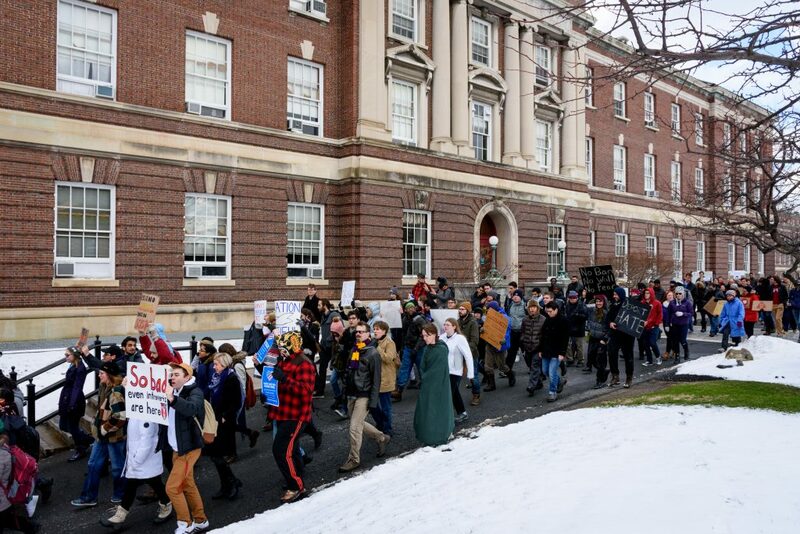 RPI STUDENTS MARCHED through campus on Wednesday, in support of international students. 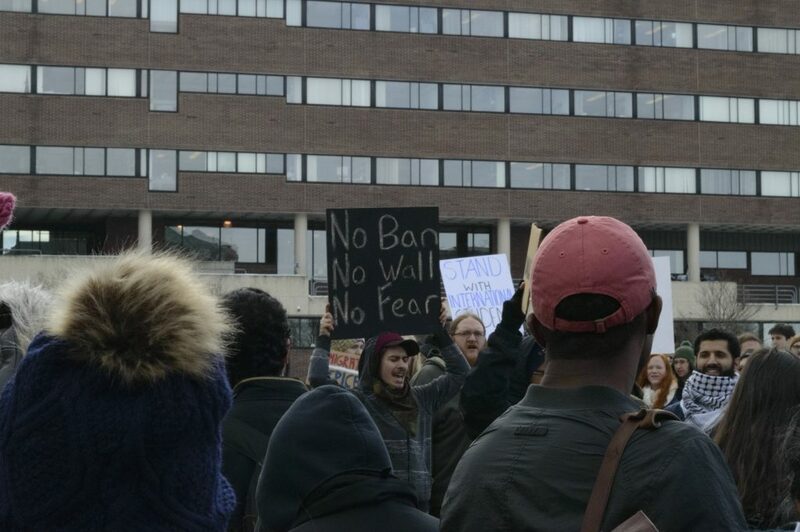 “No hate, no fear, immigrants are welcome here!” was one chant among many that brought over two hundred people together on Wednesday, February 1, for a march supporting international students in light of President Donald Trump’s recent immigration ban (https://poly.rpi.edu/s/hlxhv). 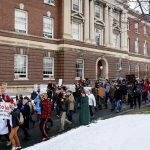 The march centered around the idea of making everyone feel welcome at RPI—especially international students, immigrants, and those unhappy with recent events. 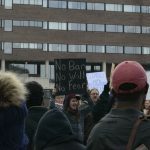 The march concluded with participants stopping at Monument Square in Downtown Troy, and the crowd gathered around the Soldiers and Sailors Monument for a rally. 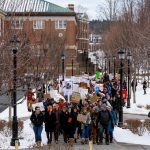 There, the organizers of the event shared their stories and inspirational words regarding how to keep hope alive and how to take action. 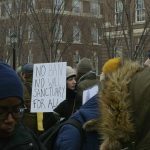 Members of the crowd were also invited to come up to the center of the group and speak out about their own experiences. 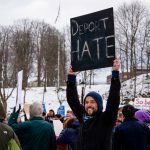 Particularly emotional and inspirational accounts were shared by people of all backgrounds, ages, genders, and religions. 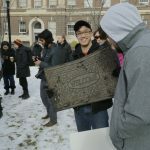 One of the very first speakers made a point to tell everyone about something he was taught as a child: the human population as a whole is like a human body, and if one part is hurting, or one part is broken, the whole body suffers. 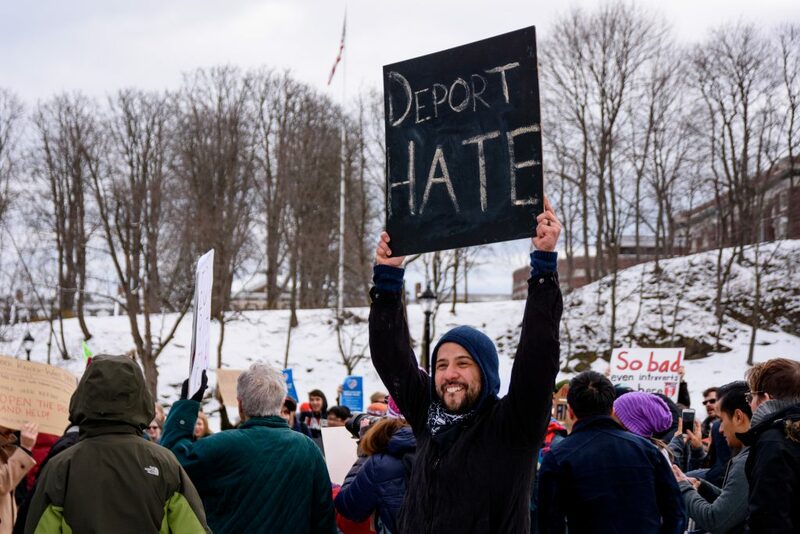 He offered that as inspiration for the country to unite as one and reverse the ban against refugees who are in desperate need of help. 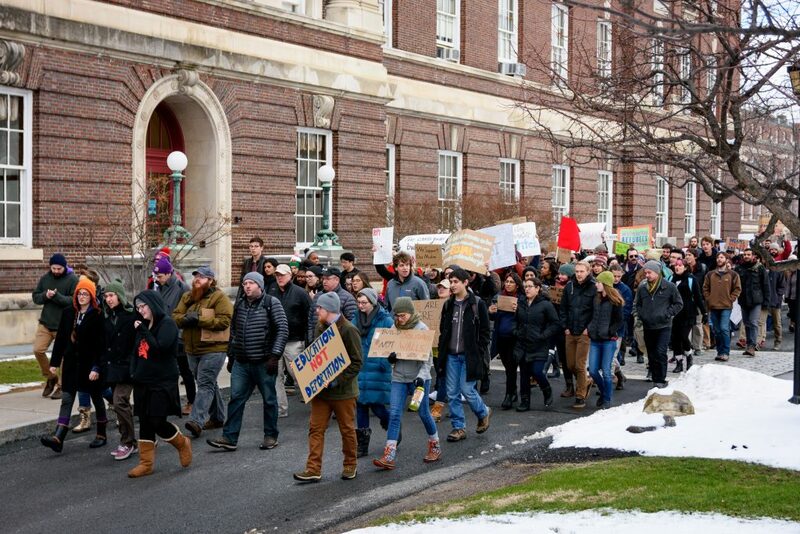 An RPI professor also spoke out, offering wise words to all students at the march who had left school work behind to come, stating that participation in activities such as these is one of the most important parts of your education. 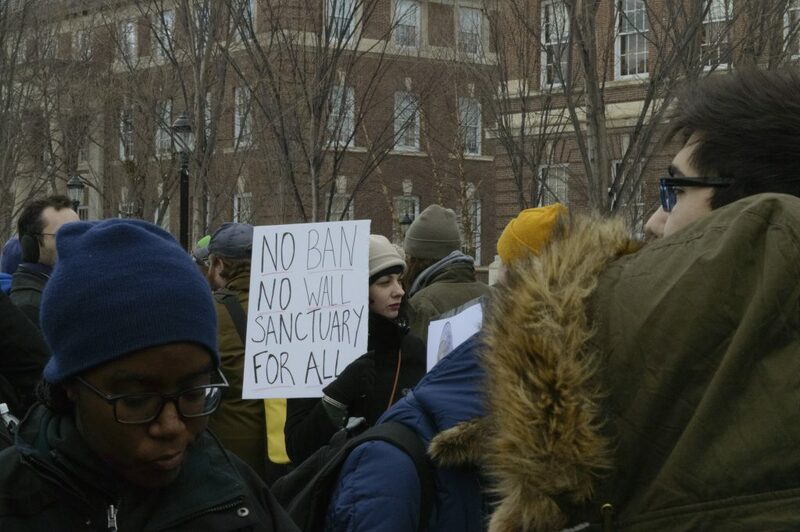 There were also many participants who spoke out about future events in the Capital District, and other ways to get involved after the rally.